Is it possible to have too much of a good thing when it comes to low interest rates? We expect the answer to that question may be emerging in the relatively near future. 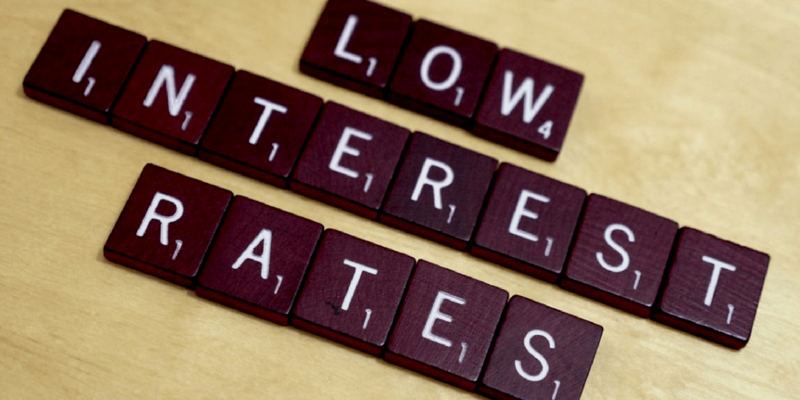 As a general principle, low interest rates are perceived as a positive for business as well as the stock market. Credit is a cost of business and when its price, interest rates, goes down, profits go up. Valuations for stocks appear to be much more reasonable in low interest rate environments; hence stocks can have a lot further to run before they become pricy. Credit intensive industries which are typically big ticket items such as cars and real estate will also prosper in a low rate environment as consumers find their monthly payments shrink. With $18 trillion in debt, the U.S. government is a major beneficiary of low interest rates, as is also the case with municipalities. So what is the problem with keeping rates low for an indefinite period of time? Plenty. Savers have definitely been punished during this protracted period of low rates. Many have had to dip into their savings in order to maintain their lifestyle. Bondholders certainly don’t have much interest to clip from their coupons. The brokerage industry used to profit from charging management fees on money market funds. With rates at zero, they have had to forgo those management fees. Insurance companies continue to struggle since their portfolios are primarily made up of bonds. With rates as low as they are, it has been difficult to keep premiums down and company profits up. Pension funds have also labored in a lower rate environment as they have maintained unreasonably high return assumptions in the hope that rates increase in the near future. Perhaps the most insidious impact of low rates is that it has incentivized Wall Street to create dubious products that offer higher yields to yield starved investors. The bottom line is that people still need income, and low rates are forcing many of them to make poor investment choices.